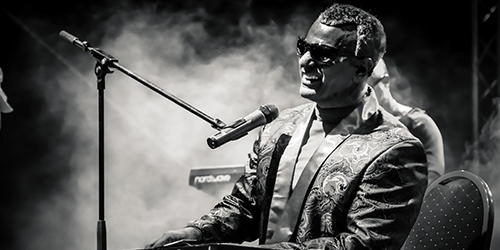 Buzz has been a professional singer and musician all his working life so far. 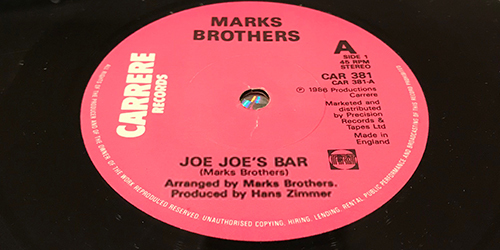 Playing guitar, bass, keyboards and singing in his first band Marks Brothers alongside his three brothers and two uncles. 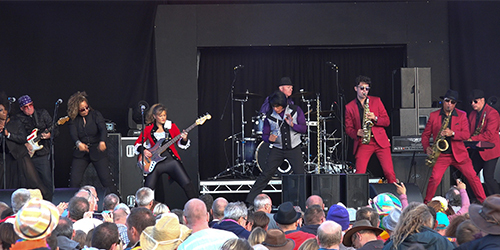 Constantly touring the UK and Europe, supporting many music legends including Gladys Knight, Glen Campbell, and The Commodores. 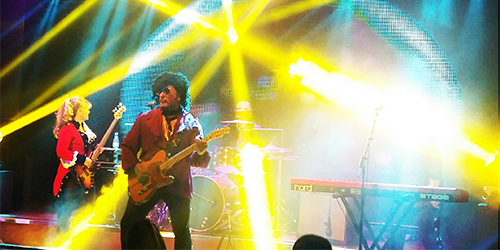 The band made numerous TV & radio appearances and secured a recording contract with Carrere Records. 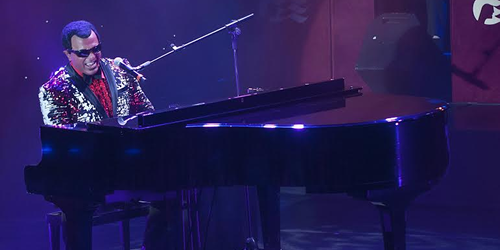 They were produced by Oscar winning film composer Hans Zimmer. 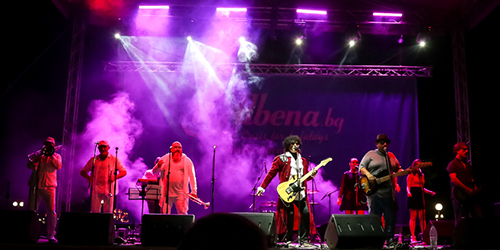 After working as a session singer / musician for a few years, Buzz signed a publishing deal with Machola Music co-writing songs for artists including ‘The Venga Boys’. 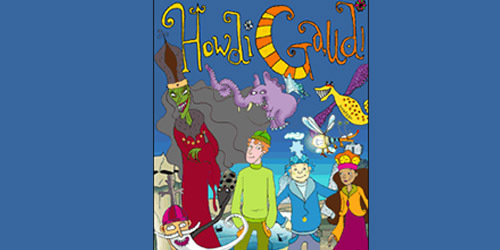 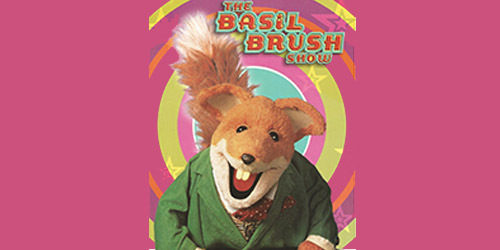 He also co-wrote the TV themes for The Basil Brush Show & Howdi Gaudi. 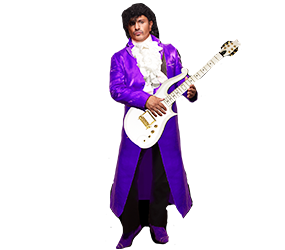 Putting a show together including all the greatest hits of his idol seemed like a very obvious next step. 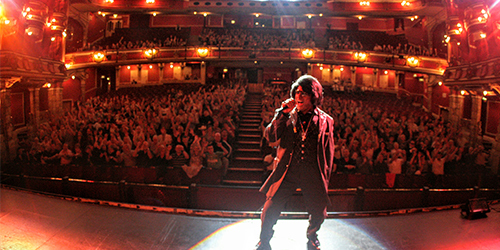 This show has taken him all over the world, performing at festivals, on cruise ships and in theatres. 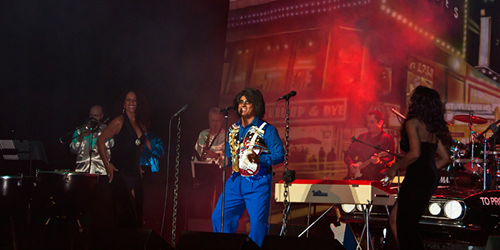 Buzz’s James Brown vocal impression has been used on a number of TV Ads, recordings & computer games. 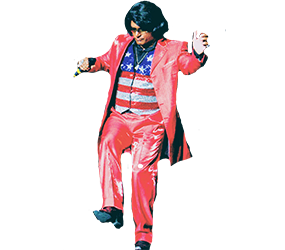 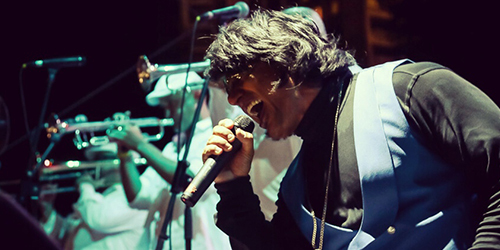 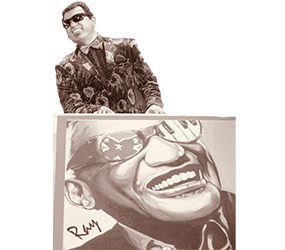 While performing as James Brown touring Europe in a fabulous Blues Brothers show, Buzz was asked to take on the role of the incomparable Ray Charles and has since gone on to play "Ray" all over the world. 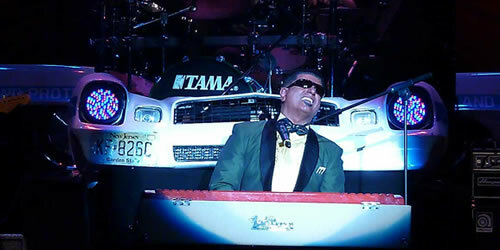 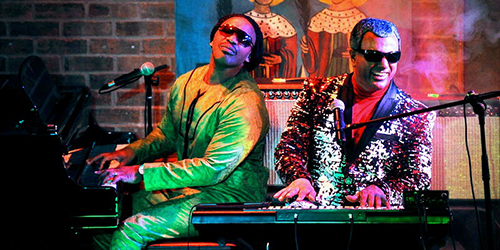 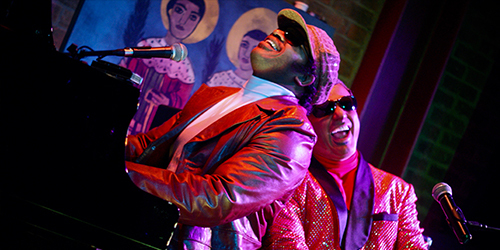 The "Stevie & Ray Show" with good buddy the awesome Godfrey Gayle as Stevie Wonder. 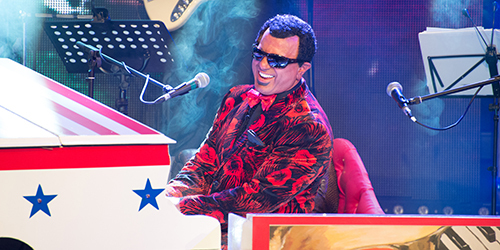 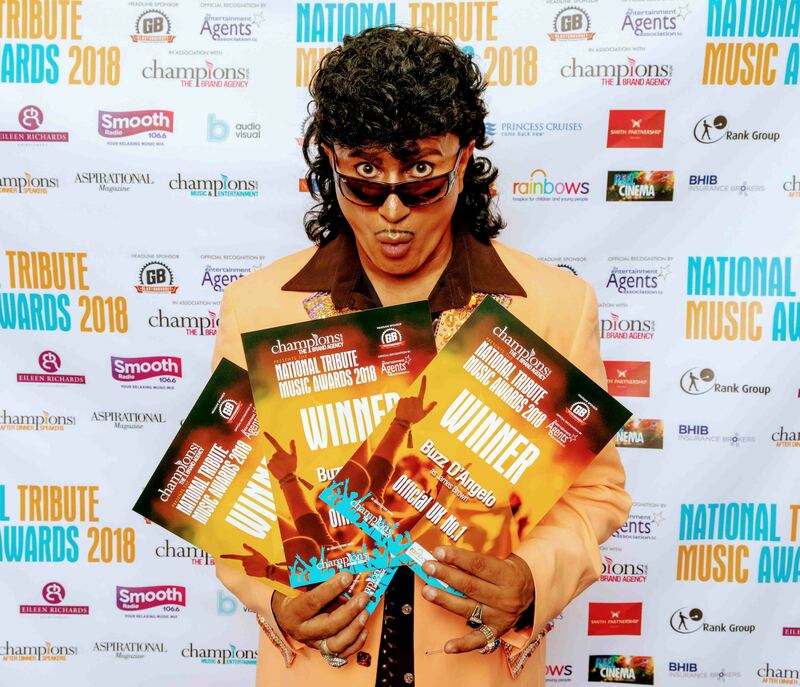 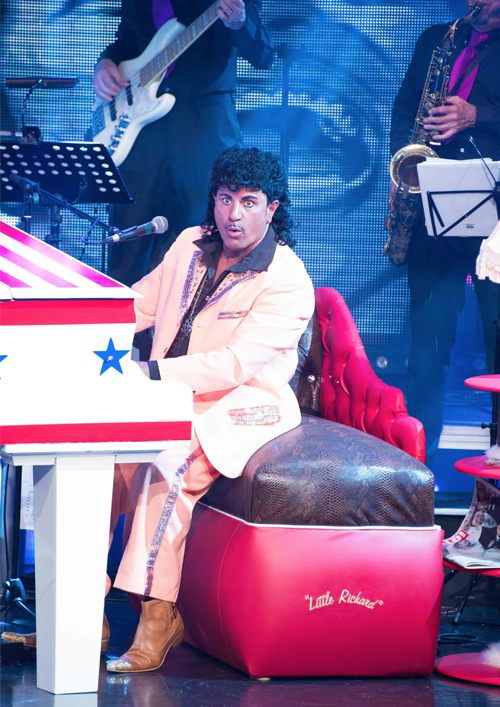 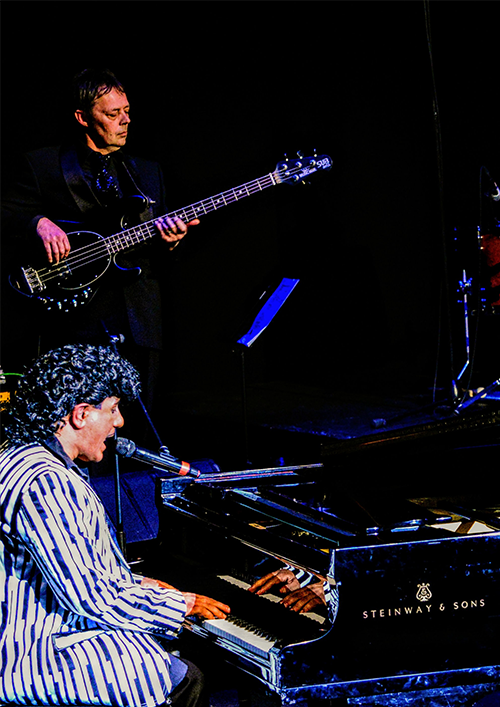 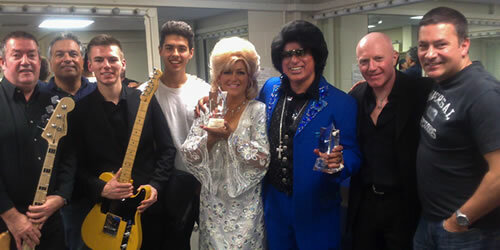 Buzz was the only double winner at the 2013 National Tribute Awards for both his Ray Charles & James Brown shows. 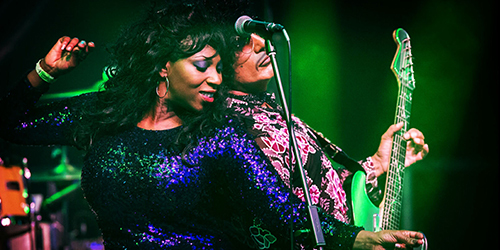 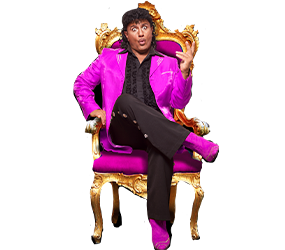 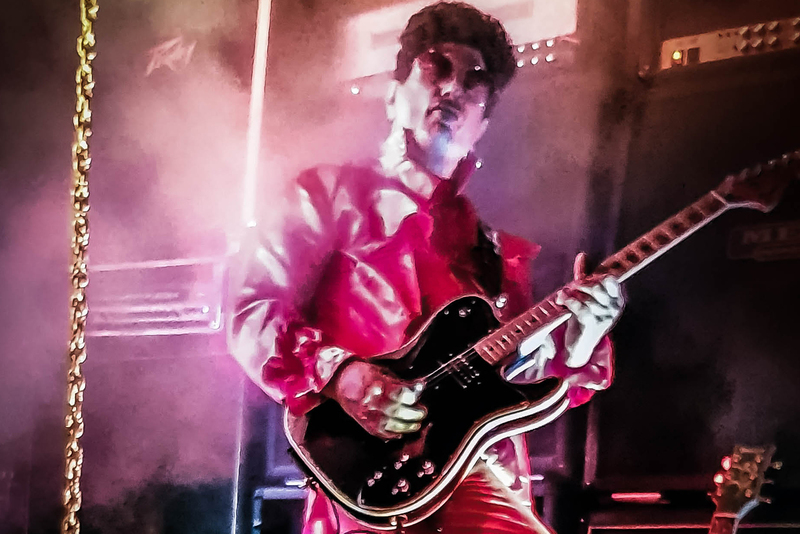 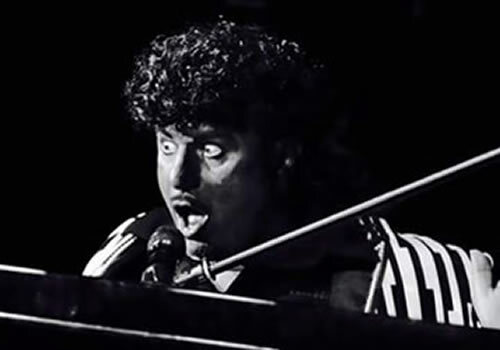 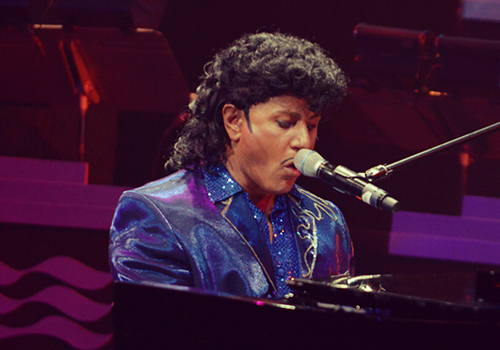 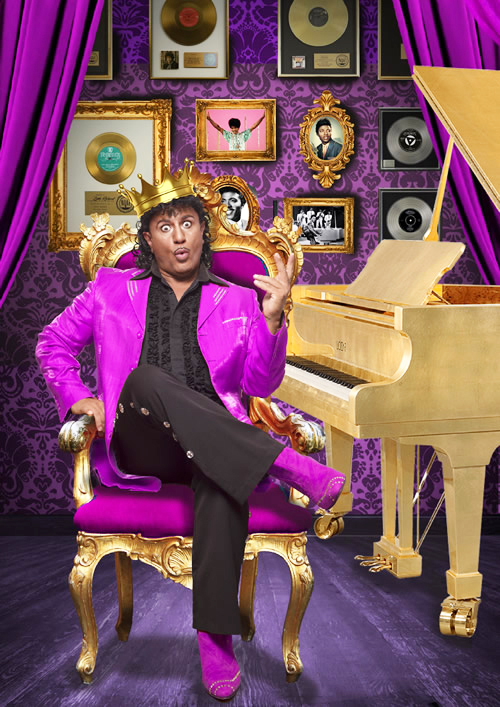 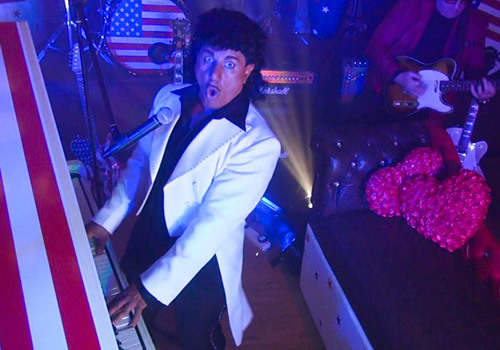 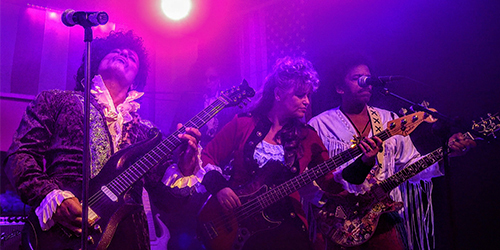 Completing this trio of all-time great Georgia music legends, ‘The Outrageous’ – Little Richard. 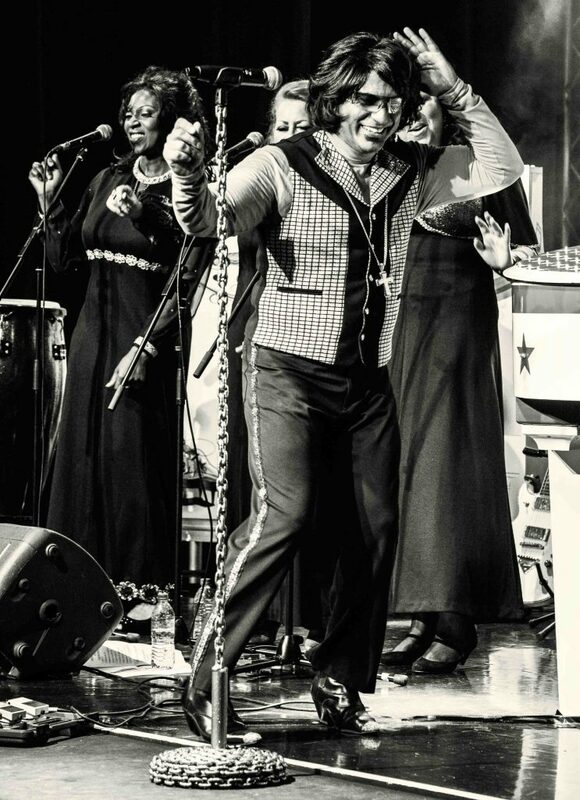 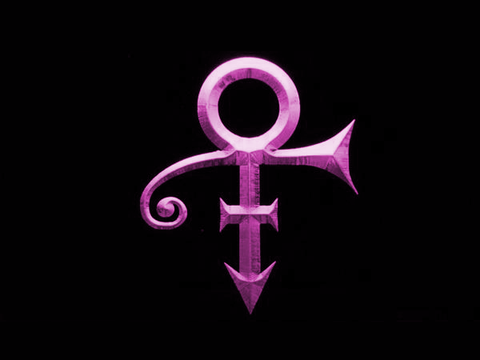 To have the opportunity to perform a show that pays tribute to his life and music is a major ambition realised. 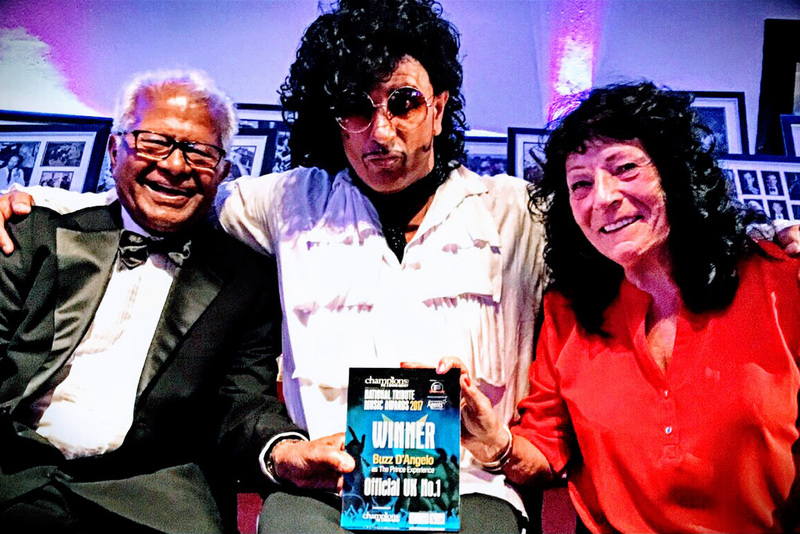 Celebrating with his mom and dad after winning the National Tribute Award, this time for Prince. 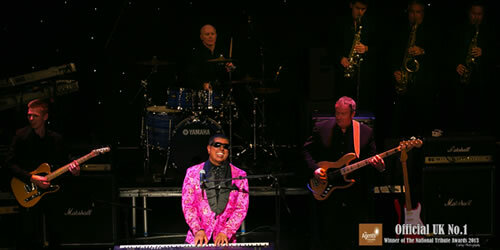 Buzz provided the voice for the “Soulman” character in the brand new Worms computer game.